On Monday (2/4) at approximately 1:31 PM, Mohave County Sheriff’s Office dispatch was advised of an inmate escape from the Mohave County Superior Courthouse. Kasey Allen Long, 41 of Kingman, was unloaded from a jail transport van when he maneuvered away from Detention Officers and began running north away from the court house. Long was to be seen in court for Armed Robbery charges. Mohave County Sheriff’s Office Deputies, Detectives, and Command Staff responded to the area, along with Kingman Police Department. A perimeter was formed and schools in the area were placed on lockdown status. 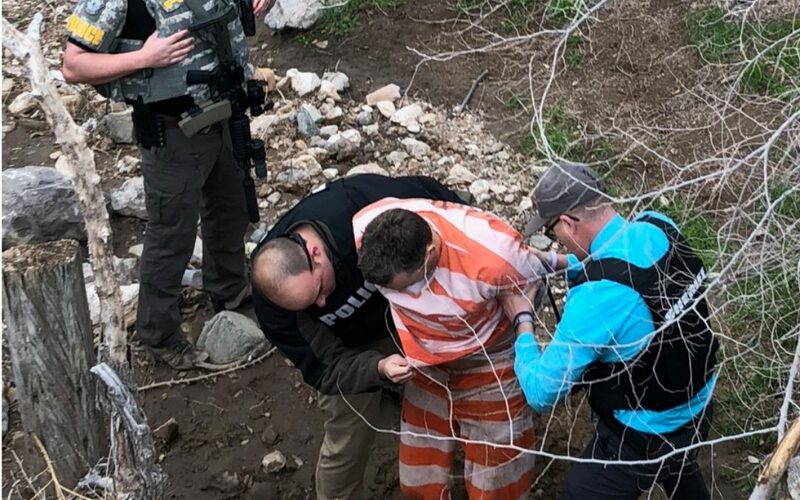 At approximately 2:02 PM, Long was spotted hiding in a culvert in a wash on Chestnut St. in Kingman. Verbal commands were given for Long to exit the culvert, to which he complied. Kasey Allen Long was placed in custody and escorted to the Mohave County Adult Detention Facility. Sheriff Doug Schuster had this to say, “This suspect pretended to have a leg injury and was not placed in leg shackles. This is a procedural error and it will be addressed to ensure it does not happen in the future. I am pleased that no one was injured and the suspect was captured quickly. The area was saturated with officers almost immediately which allowed for a tight perimeter. Lee Williams High School was locked down during this incident and I was pleased with the overall communication between agencies”.